Set in the 1850's in America, and based on a true story, this film has won high praise in spite of having some scenes that are ''difficult to watch''. 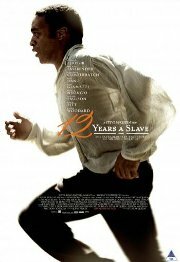 A free black man agrees to join a travelling show, but is instead abducted, stripped of his identity, and sold into slavery. The next twelve years are extremely harrowing for him and his fellow slaves, as he seeks a way to regain his freedom without getting killed in the process. No persons under 18 (Violence, Prejudice). Comments Complex and mature and very strong impact.